Holy Anorexia (also known as Anorexia Mirabilis or “miraculous lack of appetite”) was a phenomenon that occurred among young women during the Middle Ages. The Holy Anorexics were highly regarded as women of almost supernatural piety, and some were even canonized, or made into saints, for their dedication. 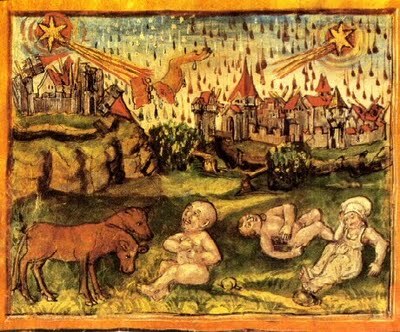 Food took on a near mythic value in medieval Europe after the Great Famine of 1315-1317, when a series of cool, rainy summers led to devastating crop failure across the continent. Food prices rose exponentially, so that during the famine, a quarter of wheat, beans, or peas sold for twenty shillings, where the same amount would have sold for five shillings only two years previously. Because of the abnormal moisture in the air, it was much more difficult to evaporate liquid from saltwater, leading to a shortage of salt. 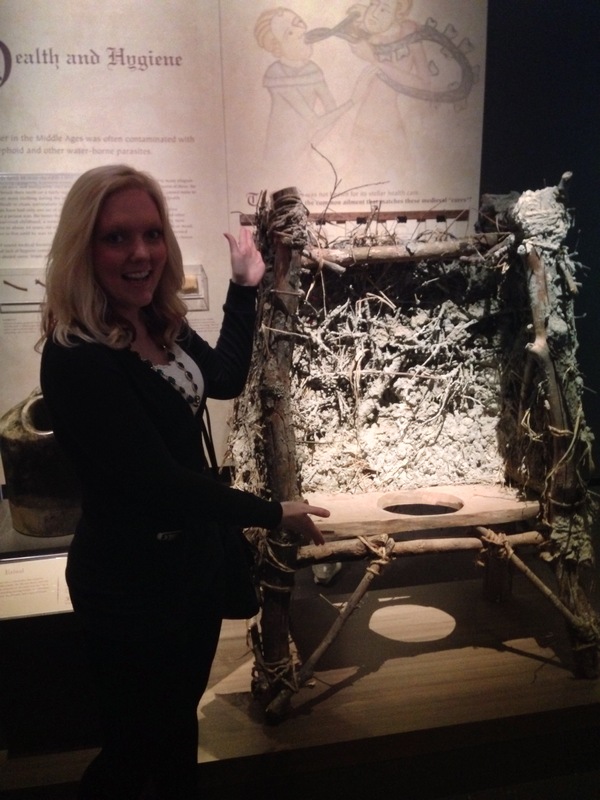 Without salt, meat could not be preserved, and it began to rot too quickly to be consumed. This Medieval painting depicts unsupervised children crying in a field. Note the red rain falling in the background over the city. 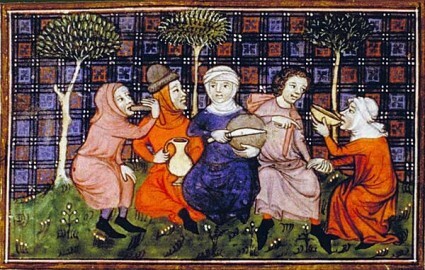 The consumption of food also represented a connection between the medieval citizen and God. The most common representation of this practice is in fact still around today, in the accepting of the Eucharist or communion bread. 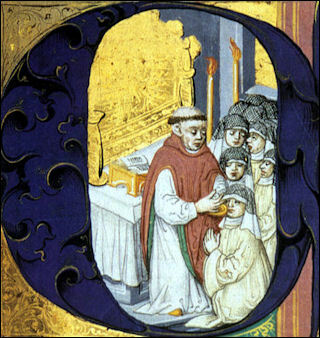 Here a priest offers a Medieval Eucharist. So, On the Surface, Why Refuse to Eat? You might be wondering why, if food was so important to medieval culture, some women became Holy Anorexics by refusing to eat. This is a very tricky question, and it certainly has many “right” answers. 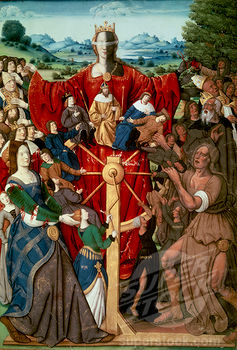 On the surface, women viewed their decision not to eat as a means of rejecting earthly pleasures in favor of a deeper connection to God; this rejection of earthly comforts is called asceticism. Holy anorexics consumed little to no food other than the Eucharist, so they believed that they were symbolically sustained by only the body of Christ. 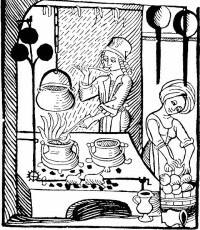 In this woodcutting, two women prepare a meal in a medieval kitchen. This image offers a graphic representation of medieval dualism. 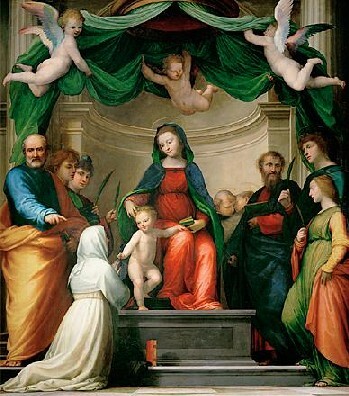 In this painting, Catherine of Siena is looked on with reverence. 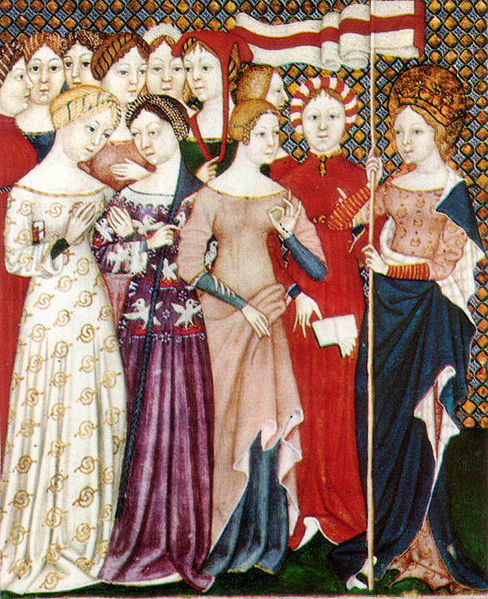 Here a group of medieval women stand together beneath one banner. You’ve no doubt been wondering if Holy Anorexia is related to the modern eating disorder anorexia nervosa. There is at present no definitive answer to this question, since scholars usually find themselves divided in opinion. 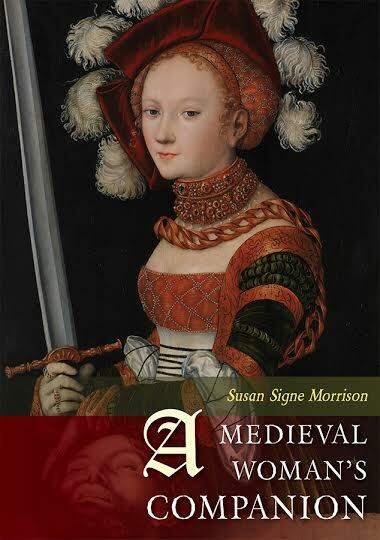 While the decision to reject food is not a new one, scholars frequently debate about whether or not anorexia might be the same in the modern day as it was in the medieval period. Here a group of medieval women are addressed by a monk before a table of food. In a recent study for the European Journal of Clinical Nutrition, J. Griffin and E. M. Berry turned to what most scholars believe to be a key contributor to modern anorexia—the media—and analyzed contemporary food advertisements by major brands. Their findings suggest that modern anorexics might be connected to those from the medieval period by surprisingly similar social messages about food. Griffin and Berry suggest that, since the image of food is still bound up so tightly with guilt, no matter the motivation of the anorexic, the aesthetic rejection of food is still equated with higher morality. Some ads, they say, create “a decided call to reject the spiritual and embrace the corporal,” while others represent “the fight of an industry against a moral internal struggle for control, the attempt to maintain self-discipline and a feeling of guilt.” Have you ever seen ads that use words like “tempting,” “irresistible,” or “heavenly,” or “healthier” food alternatives that include images of halos, angelic wings, or heavenly clouds? Antonio Federici garnered negative media attention by promoting its gelato products using racy imagery. Here, Jello advertises their line of mousse cups by hinting that it’s both “naughty” in how good it tastes, and “well-behaved” because it’s low-calorie. See how this sends confusing food messages? Check out Griffin and Berry’s article here for a few examples of their own. The Holy Anorexics were a group of young women in the medieval period who rejected food both to bring themselves closer to God and to claim some control over their lives and bodies in a patriarchal culture where they had very little freewill. While Holy Anorexia and today’s equivalent anorexia nervosa might be separated by over 600 years, the motivations for rejecting food are perhaps very similar. One thing is for sure, though: as long as women live in a society that seeks to control their decisions, whether by forcing them into marriages or roles they do not want, or by telling them how to look or what kinds of food to eat, women will likely always turn to the rejection of food as a means to take control over their lives. Here a group of medieval women breaks bread together. If you’d like more information on anorexia nervosa, please visit the websites for the National Eating Disorders Association or the Association of Anorexia Nervosa and Associated Disorders. Bell, Rudolph M. Holy Anorexia. Chicago: U of Chicago, (1985): 23. Print. Trokelowe, Johannes. Annates. Ed. H. T. Riley. Trans. Brian Tierney. Vol. 28. London: n.p., 1866. Print. Rolls. Bynum, Caroline Walker. “Fast, Feast, and Flesh: The Religious Significance of Food to Medieval Women.” Representations 11 (1985): 2. Print. Polinska, Wioleta. “Bodies under Siege: Eating Disorders and Self-Mutilation Among Women.” Journal of the American Academy of Religion 68.3 (2000): 570. Print. Bynum, Caroline Walker. Holy Feast and Holy Fast: The Religious Significance of Food to Medieval Women. Berkeley: University of California, (1987): 192 Print. Griffin, J., and E.M. Berry. “A Modern Day Holy Anorexia? Religious Language in Advertising and Anorexia Nervosa in the West.” The European Journal of Clinical Nutrition 57 (2003): 43-51. Www.nature.com. The European Journal of Clinical Nutrition. Web. 9 Mar. 2014. Bynum, Caroline Walker. Holy Feast and Holy Fast: The Religious Significance of Food to Medieval Women. Berkeley: University of California, (1987): 216. Print. Gooldin, Sigal. “Being Anorexic: Hunger, Subjectivity, and Embodied Morality.” Medical Anthropology Quarterly 22.3 (2008): 286. Print. Bynum, Caroline Walker. 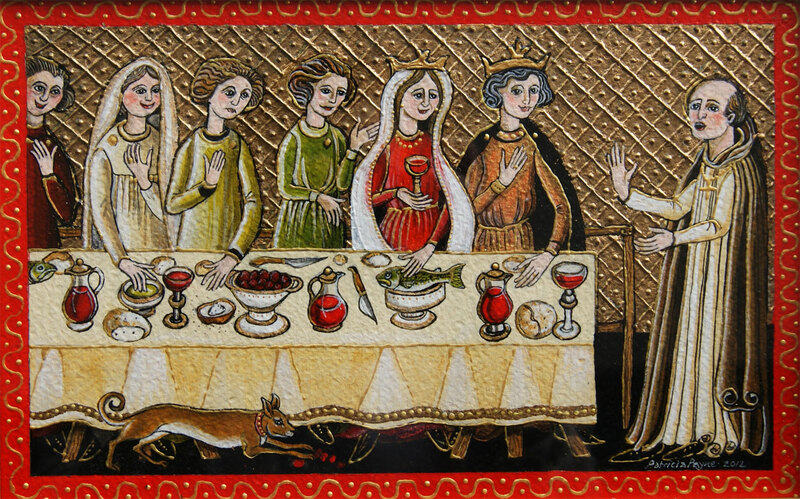 Holy Feast and Holy Fast: The Religious Significance of Food to Medieval Women. Berkeley: University of California, (1987): 220 Print. Vandereycken, Walter, and Ron Van. Deth. From Fasting Saints to Anorexic Girls: The History of Self-starvation. London: Athlone, (1996): 221. Print. Brumberg, Joan Jacobs. 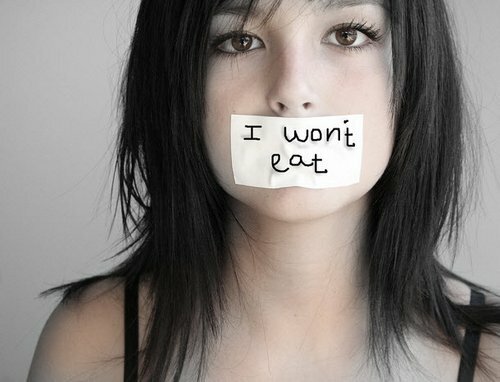 Fasting Girls: The Emergence of Anorexia Nervosa as a Modern Disease. Cambridge, MA: Harvard UP (1988): 45-46. Print. Bynum, Caroline Walker. “Holy Anorexia in Modern Portugal.” Culture, Medicine, and Psychiatry 12 (1988): 244. Print. Polinska, Wioleta. “Bodies under Siege: Eating Disorders and Self-Mutilation Among Women.” Journal of the American Academy of Religion 68.3 (2000): 578. Print.